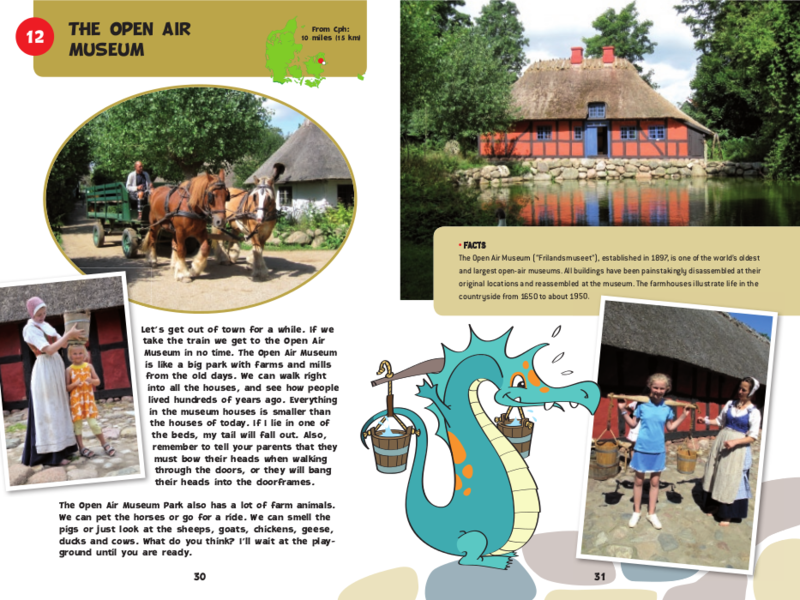 Weather you are on family vacation in Denmark og living here, the guide “Eddie the Sea Dragon visits Denmark”, will take you to some of Denmarks top attractions, focusing on what is fun and educational for children. Description Review of Denmark’s top attractions including the attractions of the UNESCO World Heritage List. Find fun and educational facts about e.g. Bluetooth, Vikings, LEGO®, H.C. Andersen’s denture and more. Eddie is a 1,000 year old Sea Dragon that loves to travel. 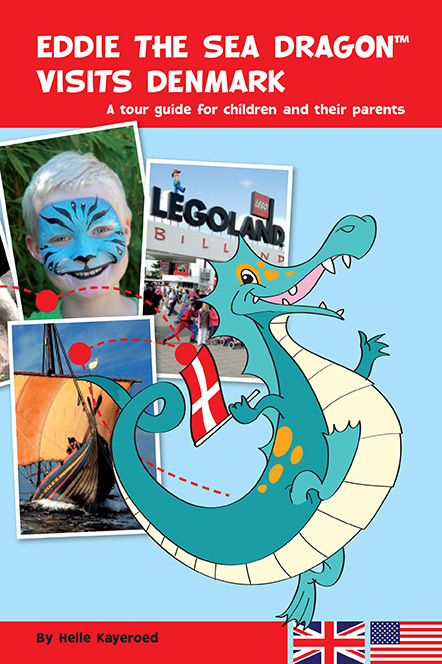 On this trip he visits Denmark, the land of Viking ships, royal castles, fairy tales and LEGOLAND. Eddie takes you across the country and shows you some of the most interesting places for children and their parents. Addresses and links to the attractions can be found in the back of the book, as well as addresses and brief descriptions for related points of interest.